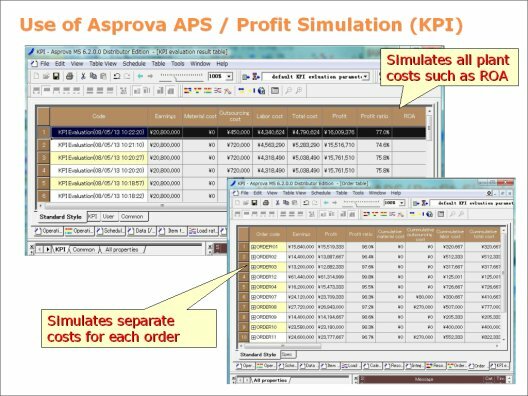 Q: How can we calculate KPI and equipment load from annual sales plans? A: Schedule by inputting a one-year sales plan (value of estimated demand), refer to the calendar and then divide the monthly demand quantities into daily demand quantities. The input, processing and output for long-term scheduling is almost the same as for mid-term scheduling. From the results of the schedule is calculated the order KPI for each order and the time KPI for the period specified for the entire plant.